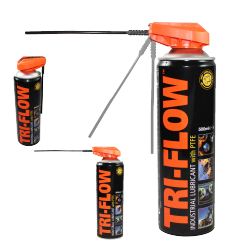 Tri-flow highly effective lubrication and grease for the most difficult tasks. Tri-flow has a shelf life of at least 3 years after production date. Acid-free. Effective from -53 to +246 gr. C. Reduces friction and wear. Protects against corrosion. Not for use in direct contact with food.